Don’t forget furniture cleaning as part of the routine deep cleaning at your home or business in Winston-Salem. 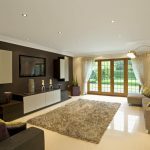 Many people know that they need to have their carpets cleaned periodically, but they forget about getting furniture cleaning. Upholstered furniture gathers a lot of gross material, like dead skin cells, dust, oil, food particles, grease and more. Furniture cleaning can actually extend the life of your furniture, not to mention making it a more sanitary and pleasant place to sit or rest. Furniture cleaning can even improve the overall indoor air quality of your home or business in Winston-Salem, North Carolina. Here at Steam Source, we offer to have our uniformed techs inspect all of the carpets and upholstered furniture on your property prior to any cleanings. We use the same hot water extraction (steam) cleaning method on furniture that we use for carpets, adjusting the force as needed to protect more delicate pieces of furniture. When we inspect your home or business, we will identify the fabric types used in your furniture pieces and can make recommendations about the best method to clean many different types of furniture. You will feel confident relying on us for your furniture cleaning needs because we are fully insured and bonded. Our technicians will arrive in uniform, and you will know that background checks, driving record checks and drug screenings have been performed on each technician before they were employed. 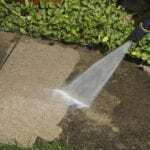 Beyond furniture cleaning, we offer carpet cleaning, tile and grout cleaning, and exterior pressure washing of siding, patios and more, as well as duct cleaning and window cleaning. So, whatever your deep cleaning needs, inside and out, give us a call today. 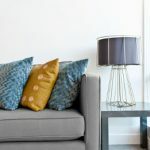 At Steam Source, we offer furniture cleaning services in Winston-Salem, Greensboro, Kernersville, Clemmons, Advance, High Point, Mocksville, Pfafftown, Jamestown, Oak Ridge, Summerfield, Lexington, King, Walkertown, Colfax, Lewisville, Welcome, Bermuda Run, Thomasville, Yadkinville, and Walnut Cove, North Carolina.